Harrogate is the town we live in. 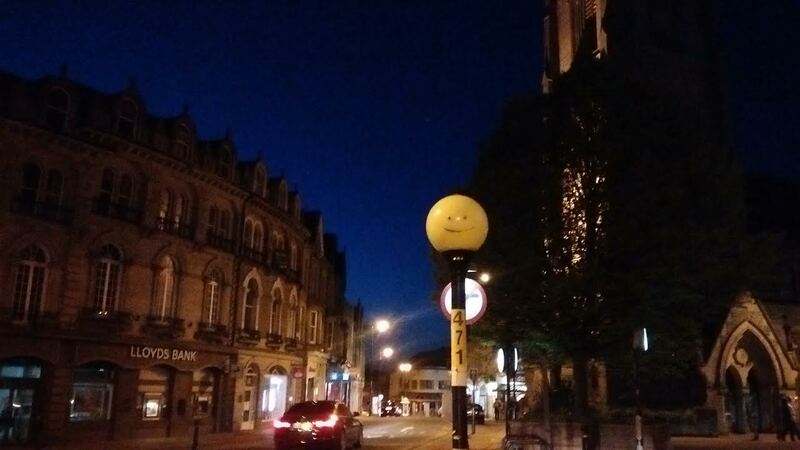 It was voted Happiest place to live in the UK in 2013, 2014 and 2015. Confirmed by this cheerful graffiti I photographed a couple of years ago. 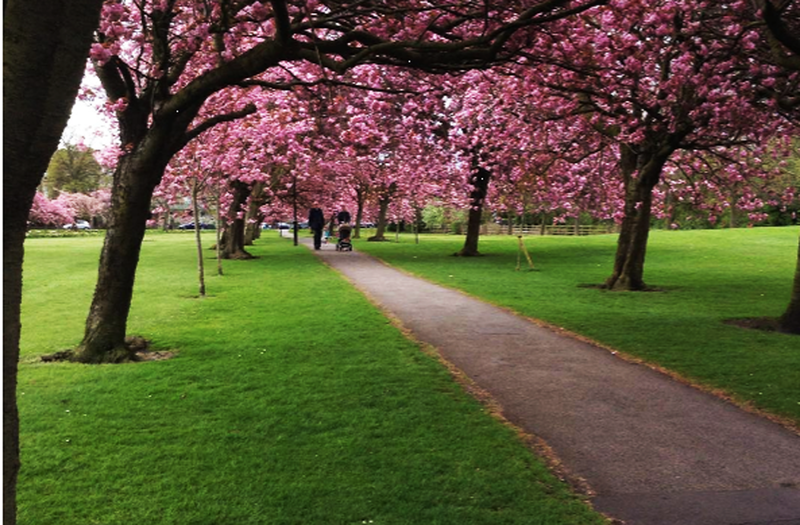 One of the nicest things about Harrogate is that it's surrounded by The Stray, 200 acres of grass with paths which are great for picnics, games, walks, running etc. There's plenty of space for lots of activities. Sunday football, Bonfire Night, Bank holiday fairs and lots more. Harrogate is well known for several things. One of them being it's mineral springs. Years ago people would travel to this spa town to take it's waters for good health. 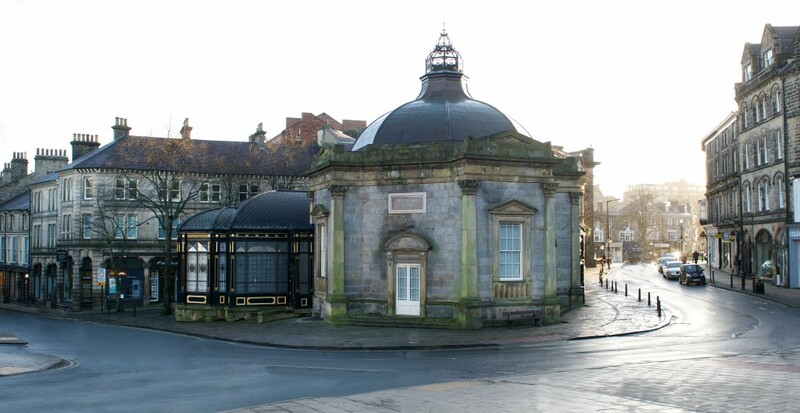 You can still taste the water if you visit the Pump Rooms but it tastes awful and smells of rotten eggs due to the sulphur in it. Another popular Harrogate attraction is Betty's Tea Rooms, you can often see a long queue of people outside. The Tea Rooms are owned by the Betty's and Taylors group. They have several tea rooms in the area and also make Taylors Coffee and Yorkshire Tea. In 1926 Agatha Christie dissappeared from her home causing speculation that she'd killed herself. She was missing for 11 days before being found at the Old Swan Hotel in Harrogate under an assumed name. I suspect she chose Harrogate as the perfect place to get away from it all. 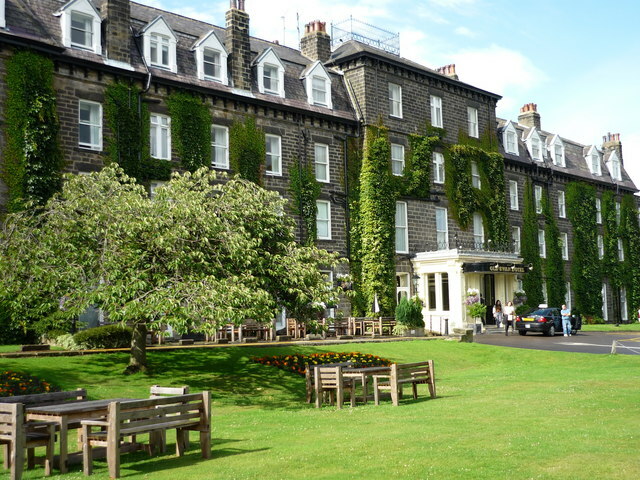 It's a lovely old-fashioned hotel, now a Grade II listed building. 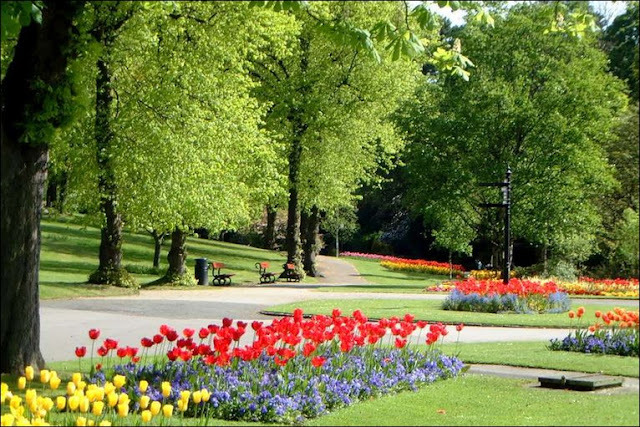 One of my favourite places in Harrogate is the Valley Gardens. It's not far from our house, there's a playground, skate park and crazy golf. We like walking in the pinewoods behind it and that there's often fun stuff going on there in the summer. 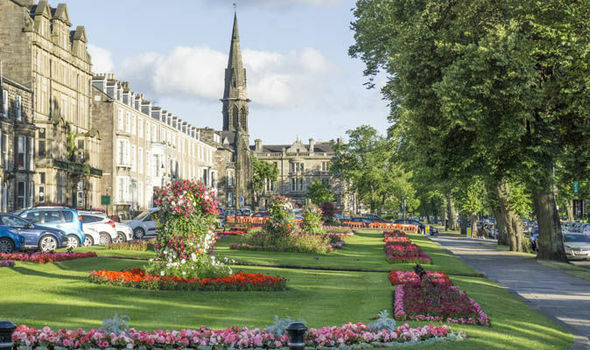 Harrogate isn't a huge town which makes it a nice place to live. Leeds and York are both less than an hour away if you want to go to a city for shopping etc. 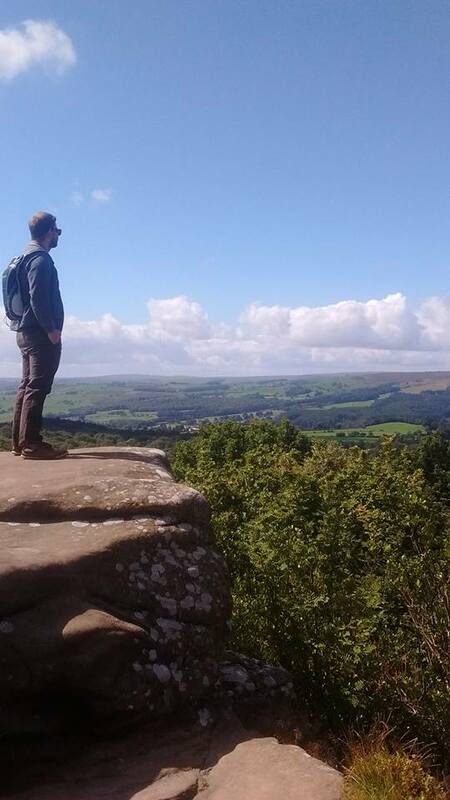 You don't have to go far out of Harrogate for some gorgeous countryside, there are plenty of beautiful places to visit or walk.